We purchase household, industrial and demolition scrap that might otherwise end up in landfills. We offer a large inventory of products at competitive pricing. 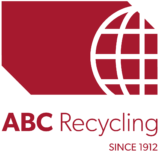 ABC Recycling sells new and salvaged metals as well as the resale of equipment. Visit one of our nine locations throughout BC and Alberta where we will service your scrap metal needs. We strengthen the lives of our people, community and partners, by taking today’s scrap metal and turning it in to tomorrow’s resources. ABC Recycling is Western Canada's largest scrap metal recycling company. We serve and support communities through the recovery, processing and recycling of scrap metal. We are proud to be associated with many different industry and charitable organizations. Donate your scrap metal in support of BC Women’s Newborn ICU, in exchange for a tax receipt! ABC Recycling’s Donor of Hope program engages industry to donate their scrap metal in support of BC Women’s Hospital Newborn ICU, providing an essential, continuous source of funding to care for the most critically ill babies across the province. When a BC baby is born too soon, too small or too sick to survive without help, the doctors and nurses of BC Women’s Hospital Newborn ICU are there to save lives. But this critical work is only possible with access to the latest technologies and up-to-date equipment. Our Donor of Hope program directly supports BC Women’s Hospital’s Hope Starts Here campaign and its goal to raise $17 million towards much-needed equipment upgrades. We are optimistic that – with your help – this goal can be reached. Check back for new blog posts.